School holidays are nearly here, so don't be stuck for inspiration, have a look on Weekend Notes for some ideas to keep your kids entertained and parents unfrazzled. 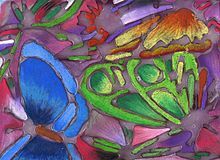 Art: Perfect for a rainy day if the school holiday weather disappoints, or a great activity to get kids in the garden (and the mess out of the house) to create their masterpieces. If you're wanting a day out and want to make art your theme, head to the Art Gallery of WA who are running some art classes for 6-16 year olds in addition to housing some spectacular exhibitions including the not to be missed Picasso to Warhol exhibition. The Art Gallery of WA is free to visit but there may be a change for certain exhibits. 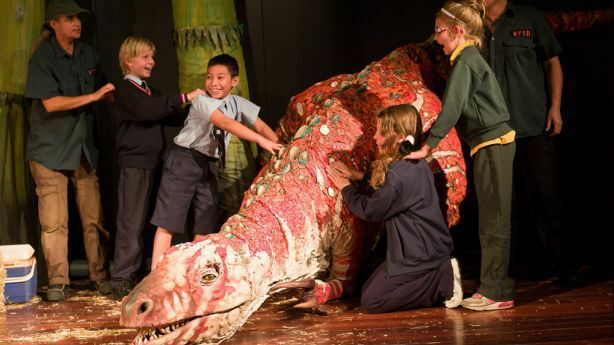 Books: Ok, so the kids likely want to leave books behind this Spring break, however, why not take them to the home of books, and visit some of WA's superb libraries and enjoy some of school holiday workshops and activities. Phone your local library for more details. Do you kids fancy making their own book; becoming an author and illustrator and taking home a book at the end of their workshop; head to the libraries in the City of Wanneroo and for $10 they can take home their own hot off the press 'Hot Dog' book. Crafts: Another great activity for a rainy day or if you are fancy a day out of the house, check out what's on locally in terms of craft activities for your kids. Local museums and libraries have some great classes and workshops on. One that stood out for me was the 'From Doodling to Designing' workshop on Tuesday 2nd October (ages 7 ) held at the Wanneroo Library and Cultural Centre (9405 5920 for more details) who are also hosting a workshop to create your own funky journal. Costs are $20 but this includes all materials and tuition and you take home what you make. Dance: Whilst not always a popular activity with all the boys out there, many girls love to enjoy dance lessons and school holidays are a perfect time to check out what local dance school holiday classes are available. Maybe your little girl fancies trying Fairy School for a day. Holiday classes last three hours with locations at Joondalup or Rockingham. Elephant spotting at the Zoo. Or the spotting of any animal. The Zoo makes for an excellent family outing and you can spend the day looking out for all sorts of animals, reptiles and bird life. If you've got a really avid nature fan in your family, why not think about treating them to a day as a member of the Zoo Crew this school holiday. For $65 for the day, your wildlife loving child (8-13) can go behind the scenes and get up close and personal with all aspects of zoo life. 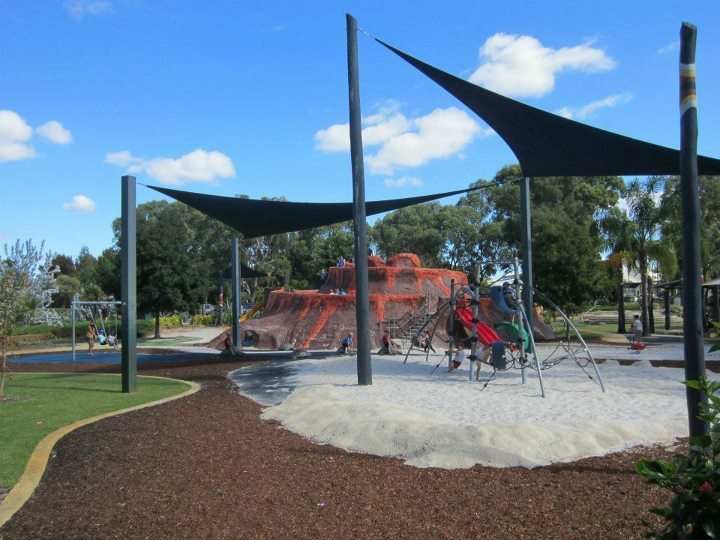 Faulkner Park is a free park for families located near to Perth city in the suburb of Belmont and makes a perfect spot for kids to run off their energy in this large park filled with a myriad of playground equipment. Once you've been, expect to hear your kids asking to go back to the 'volcano park' again and again. It's a real treat. Take a picnic to make a real morning of it. Go Bananas, or other indoor playgrounds make a perfect back up choice for rainy day activities. It's a busy time during school holidays, so head early to avoid crowds if the sun's not shining, or go later on in the afternoon. Here's a great guide to indoor playgrounds in Perth. Look out for special school holiday offers or all day play entry fees. Hole in One, is what you can aim for when you take your kids to mini golf this school holiday. Mini golf is a great way to get out and about with your family, enjoy the sunshine and have some (gentle) competition to see who can score the highest. Remember your sun screen if the weather is being kind. Games can take longer than you think as sunburn can make for a unpleasant rest of the holiday time. Here's our guide for some of the best courses in and around Perth. Ice - Cream is a nice treat for the kids during the School holidays, and Perth's ice creameries present a variety of choice for where to take your kids to. 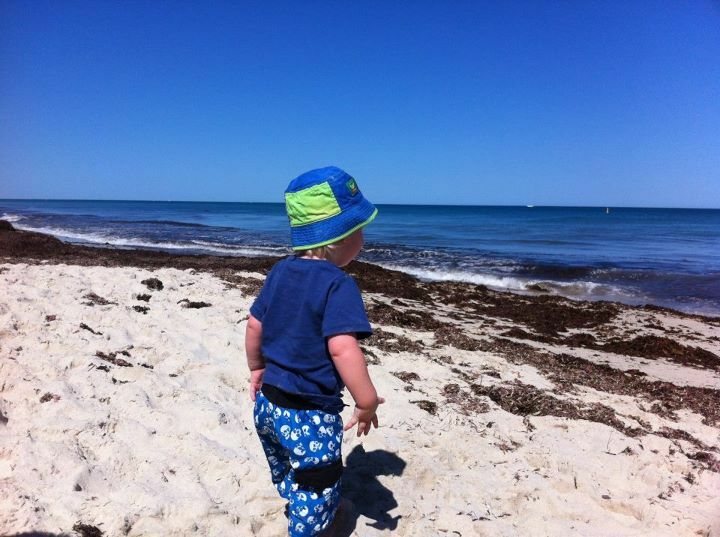 You could easily make a morning or afternoon of it and venture out to the Swan Valley's famous Oggies Ice Cream Cafe, or head to Hillarys Boat Harbour where there are plenty of gelato related options for your family. And remember, it doesn't have to break the bank. I recently took my toddler to McDonalds (no judgement), and he enjoyed the 30c ice cream as much as any fancy frozen dessert he'd previously tried. Sometimes the best things in life, don't have to be the most expensive. Jump around in the water playgrounds of Perth. There are lots of aquatic centres and parks that have now added a waterplayground to their already impressive list of equipment or activities. Ask your local centre if they have a water playground, or have a look at what's on offer at some of Perth's park. My top recommendations are the (free) water playground at Ellenbrook, the Craigie Aquatic Centre, Wanneroo Aquation and Maylands Waterpark. But this list is not exhaustive. Have a look at what is local to you and get jumping in, under and through the jets and have a fantastic time doing it. Koalas and Kangaroos. This school holiday take your family to visit some of Australia's favourite native animals. You could go and feed the kangaroos at Caversham Wildlife and get up close and personal to the lovely fluffy koala bears. Laser Tag. A very popular activity with teenage kids and a guaranteed way to burn off some energy. On the positve this doesn't break the bank either. At Darklight Laser Tag in Joondalup, games start at $9 with subsequent games costing only an additional $5. It's a great activity that parents can join in on too if you fancy being a big kid for the day. Movies. When I was a kid it was such an exciting time to find out what movies were coming out for the school holidays, and a trip to the cinema was a highlight for my time off school. This school holiday, the cinema listings do not disappoint and kids will be asking to go and see Tinkerbell, Madagascar or maybe the slightly scary Hotel Transylvania. Don't forget to check out whether your local cinema has a kids club to save money. Grand Cinemas offer a great kids club where for an annual fee of $12 your kid can then pay $9 for every movie going forward in addition to lots of fantastic discounts on refreshments and the all important popcorn. No school spring holiday list would be complete without mention of Perth's Royal Show . For some this will be the highlight of the school break, for others this will be the place to avoid unless you want to part serious cash on showbags galore. Love it or hate it, this is a full day out for the family with enough exhibitions, animals, shows, rides, fab food and entertainment to keep your kids entertained. The ocean is a fab place to spend time at any time of the year, but the Spring school holidays is a perfect time as the days aren't yet too hot and the crowds are nothing like how it can get in the Summer holidays. Don't forget your sunblock and plenty of water. Pottery or ceramics cafes are popping up all over Perth providing a great outlet for the creative youngsters in your family. 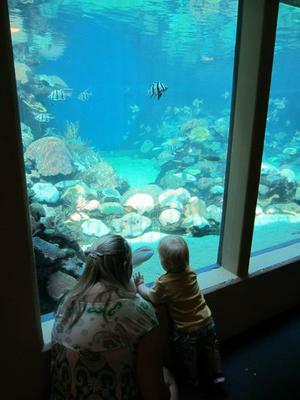 Look out for special offers or activities designed for the school holidays. Two of my favourites are Cafe Ceramica in Clarkson who in addition to the normal pottery activities are offering some T Shirt printing classes this school holiday and Fired Cafe in Joondalup. Meet a Quokka. If your kids haven't already met a Quokka you could think about a day trip to Rotto, or if that's too far afield you can also make introductions at Perth Zoo or Caversham Wildlife Park. Rock Climbing. It's not a bad idea to have a couple of indoor activities up your sleeves in the event that Spring weather is not so favourable. Indoor rock climbing is a great way to expel some excess energy whilst also having a whole lot of fun. There are some great indoor centres in Perth including the newly opened Joondalup Climbing Centre. Some of the centres in Perth even have a school holiday program, including the ever popular Rockface based in Northbridge. Shopping Centres are your secret weapon when it comes to free organised activities at school holidays. Check out this guide to what's on at some of the bigger shopping centres, but also phone your local centre to see what they've organised, you'll be pleasantly suprised at the effort they've gone to. 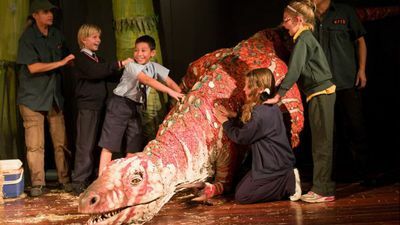 Meet the Titanosaur at the WA Maritime Museum in Fremantle from October 1st-14th 2012 as part of the Dinosaur Petting Zoo exhibition that recently sold out at the WA Museum. Performances are daily at 10am, 12pm, 2pm, 4pm and bookings are essential. 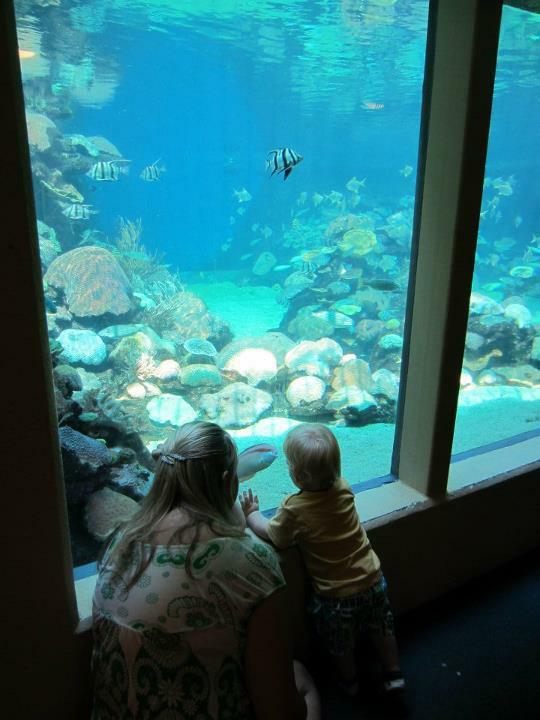 Underwater fun can be found at the Aquarium of Western Australia (AQWA) who have organised a special 'Slimefest' especially for the school holidays. Follow the trail to uncover a host of information about Australia's slimiest sea creatures. Get very up close and personal with a host of fluffy friends at Swan Valleys, Cuddly Animal Farm. This is a fabulous morning out if you've got some animal lovers in your family. Kids are allowed to pet an array of fluffy creatures in addition to being able to enjoy pony and tractor rides. Whiteman Park. When the weather is sunny, Whiteman park is a great place to head to. Not only is it a beautiful spot to enjoy nature at it's best, but it also houses a number of museums, the Caversham Wildlife Park, the Bennett Brook Railway and some fantastic playgrounds. You can easily spend a whole day there. They've even organised a host of school holiday activities, so check out the guide and plan you day or week there. EXtremely keen sports fans need not be forgotten this school holiday. Many of the local sports centres have organised fantastic sports programs giving your child the opportunity to try out a range of sports during their break from school. A great program for kids has been organised by the University of WA called US4K (Uni Sports for Kids). This program includes a range of sports from gymnastics, floorball, fencing cricket, basketball, soccer, tennis, squash and badminton. Kids can be enrolled for a single day or for a whole week. Check out the programs and get booked in now. Yanchep National Park. 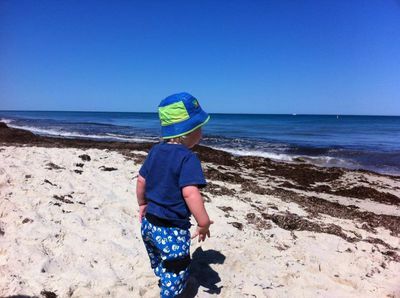 Yanchep is a fantastic park that you could easily spend a whole day in, especially if you've packed a picnic. Yanchep National Park is another park where you can wander around spotting Australian natives at their best. The kangaroos can be found snoozing under the trees when it's hot or jumping through the bushes in the early morning. To spot a koala just take a stroll through their boardwalk. If you're planning a whole day at Yanchep, book on a tour of their underground caves or perhaps take a walk on one of the numerous nature trails. Zzzzzzz's. After all this holiday fun, and all the energy expended, hopefully you'll tire your little ones out sufficiently to get a lie in at the weekend and catch up on your zzz's. What a brilliant article... I don't think there is enough time in the day to get through this list, and there will certainly be no excuse for anyone to be saying 'Muuuuuum, I'm booooored'.